A Coast Guard spokesman in Miami said the crew of the Disney Wonder spotted the migrants southeast of Cuba. 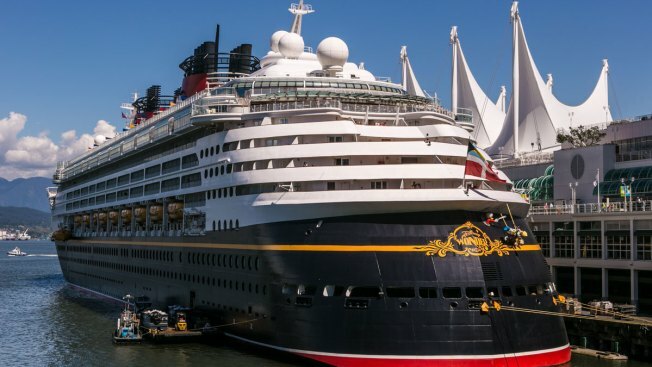 Disney's Wonder cruise ship is docked at Canada Place in Vancouver, Canada, in this file photo. A Disney cruise ship has rescued 12 Cuban migrants from an unseaworthy vessel in the Caribbean, according to the U.S. Coast Guard. A Coast Guard spokesman in Miami said the crew of the Disney Wonder spotted the migrants southeast of Cuba. Petty Officer John-Paul Rios said the cruise ship took the migrants to its next port of call Sunday in the Cayman Islands. There were no reported injuries but Rios said cruise ships have agreed to notify the Coast Guard if they see migrants on dangerous vessels at sea and to rescue them if necessary. An increasing number of Cubans have fled their country and the U.S. normalized relations. Many Cubans fear restored relations will bring an end to the law granting them U.S. residency if they reach the country.